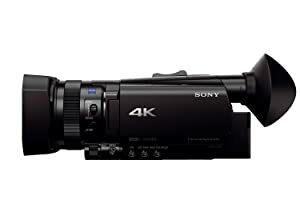 If you’ve ever been astonished by the depth and beauty of 4K1 High Dynamic Range, if you’ve ever longed to achieve these results for your own projects, Sony has the ideal camera. Presenting the FDR-AX700. Small as it is, it packs the most power we’ve ever built into a palm-sized Handycam camera. 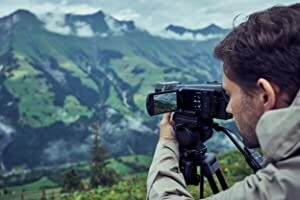 With advances like 4K (3840 x 2160) resolution, Instant HDR2, a generous 1” (1.0-type) image sensor and Fast Hybrid Auto Focus, this is the perfect tool for making unforgettable videos. This large 1” (1.0-type) back illuminated Exmor RS stacked image sensor with DRAM chip not only enhances efficiency and speed of A/D conversion through its stacked structure due to more circuit sections; it also realizes super-fast readout speed - thanks to a DRAM chip integrated into the sensor structure. Together with the BIONZ X processing engine and front-end LSI, it allows for stunning 4K1 (3840 x 2160) with fast AF and AE tracking, and super slow-motion HFR2 (High Frame Rate) movie clip recording of up to 960fps (40x), not to mention remarkable low-light low-noise capability. The large sensor makes for more cinematic imagery, with the blurred backgrounds that cinematographers cherish. 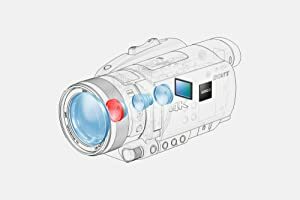 The FDR-AX700 An extraordinarily accurate AF system Using 273 focus points covering 84% of the frame, the system combines the strengths of both Phase Detection AF and Contrast Detection AF for unsurpassed results. Focus is always important, especially in large-sensor 4K imaging. With its powerful high-speed BIONZ X image processing engine and advanced new movie AF algorithm, the FDR-AX700 can hold focus even on fast-moving subjects such as sports, pets or children at play. Refinements like 4K face detection and object tracking technology make it easy to follow your subject. The FDR-AX700 offers the advantages of 4K1 (QFHD 3840 x 2160) movie recording, with full pixel readout without pixel binning, capturing approximately 1.7x more information than is required for 4K6 movie output ensuring that all the finest details are captured accurately. 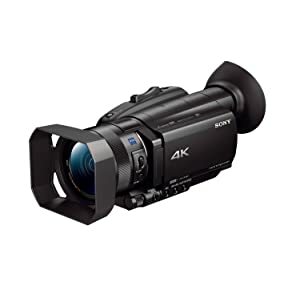 Utilizing the XAVC S codec to record video at a high data rates, users have the option of shooting at either 24p or 30p in 4K mode up to 100mpbs, or in frame rates of up to 120p in Full HD up to 50mbps..
4K High Dynamic Range2 astonishes viewers with visual depth and impact that are less like conventional movies and television – and more like real life. With the ability to reproduce images from deep shadows to piercing highlights, 4K High Dynamic Range (HDR) is astonishing. With Instant HDR, a first in palm-sized cameras, the FDR-AX700 empowers you to capture High Dynamic Range without complex post production. Hybrid Log-Gamma (HLG) recording captures HDR, yet plays back beautifully on both HDR and conventional televisions. 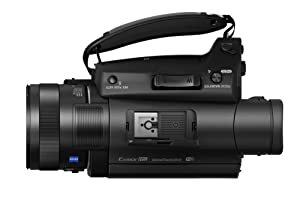 For added versatility, the camera also provides S-Log3 encoding. The FDR-AX700 comes equipped with a ZEISS Vario-Sonnar T* 29-348 (35mm equivalent) lens that delivers corner to corner sharpness with beautiful defocused background bokeh. 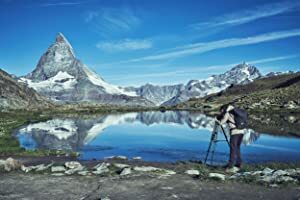 Not only is this 29mm wide-angle lens ideal for capturing grand landscapes, but it covers wide-ranging image expression thanks to maximum 12x optical zoom and 24x Clear Image zoom (18x in 4k). Lens ring enables smooth, natural adjustment of focus or zoom, depending on mode. The FDR-AX700 has a variety of features for professional production, including Picture Profiles, S-Log3/S-Gamut3, Gamma Display Assist, Proxy recording, Time Code / User Bit and more, as well as input for external microphone via MI (multi-interface) shoe or mic jack and output for headphone monitoring. Focus and exposure can be monitored for fine control with peaking function and zebra respectfully. You also have the choice of region setting between NTSC and PAL movie frame rates. 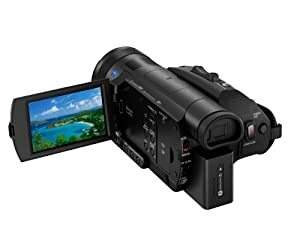 The AX700 uses XAVC S for detailed recording up to 100 Mbps in 4K or HD and AVCHD recording for HD. 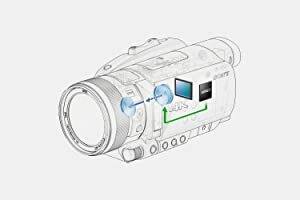 To extend recording time and flexibility, the camera provides two slots for SDXC and SDHC cards. Slot 1 is also compatible with Memory Stick PRO Duo (Mark 2) / PRO-HG Duo cards. To take advantage, Relay mode automatically switches recording to the second memory card when the first is full. Simul mode enables simultaneous recording to two memory cards (for example to create an immediate back-up version). The FDR-AX700 takes advantage of Sony’s flexible Multi-Interface (MI) Shoe, which provides power, signal connections and coordinated on/off switching to compatible accessories. For example, you can connect and control Sony’s 2-channel UWP-D Series wireless microphone systems4. The 3.5” (16:9) Xtra Fine LCD screen (1,550K) displays sharp, bright, vivid images, letting you compose a shot more easily -- even outdoors, while enabling you to change settings to best represent the scene. 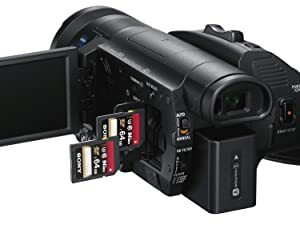 1 SDHC/SDXC memory card of Class 10 or higher is required for movie recording in XAVC S format. UHS-I (U3) SDHC/SDXC card is required for 100Mbps recording. 2 3840 x 2160 pixels. Connect this product to a HDR (HLG) compatible Sony TV via a USB cable when displaying HDR movies. 3 Sound cannot be recorded. A Class 10 or higher SDHC/SDXC memory card is required. 2017 Sony Electronics Inc. All rights reserved. Reproduction in whole or in part without written permission is prohibited. Sony, Exmor RS, SteadyShot and the Sony logo are trademarks of Sony Corporation. Wi-Fi is a registered trademark of Wi-Fi Alliance. 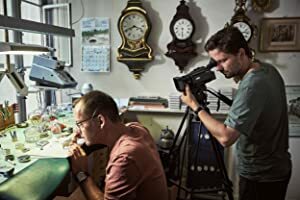 ZEISS is a registered trademarks of Carl Zeiss Inc. All other trademarks are trademarks of their respective owners. Features and specifications subject to change without notice.